A traditional Cotswold Inn with a rich history. Perfect for a Sunday roast or simply a pint of local beer. We're dog friendly too. 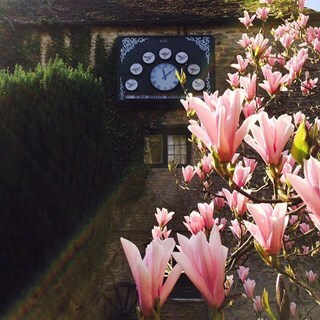 A British Cotswold Inn brimming with rich history, the perfect spot for a delicious feast or simply a round of drinks in front of the roaring open fire. We’ve worked side by side with UE Coffee, the only artisan wood-fired coffee roastery in the UK, whose Master Roasters combine their talent and experience to bring out the optimum taste, aroma and colour to create The Lucky Onion’s truly unique and sustainable house blend of beans from Brazil, Costa Rica and India. Cherish each sip at The Wild Duck or grab and go with your coffee of choice in one of our biodegradable, takeaways cups. We eat out quite a lot and can honestly say that the food here is the best pub grub we've eaten in a long time. . Well actually, the best grub anywhere in a long time. Outstanding. We went back a few days after. If only we lived closer but will definitely visit again when in the area. THE BEST Sunday lunch we have had in a long times. Thanks for such a wonderful meal. Basic food. Not a birthday special, not a special occasion. Food okay. A bit of a let down. Fabulous food, environment and staff - loved my experience at The Wild Duck! Amazing! Great night and well looked after! Unfortunately we came to visit on a Sunday evening when the menu was restricted in all areas from the “nibbles” right through to desserts. This was disappointing as there weren’t alternatives offered just a very limited menu. Whilst pleasant the first waitress we had seemed indifferent to our requests and made us feel a little stupid for not booking earlier in the day. We would have and did try to call from 1pm right through until 5pm but ended up booking online as the phone lines were not being responded to. Over all I would give another chance but mid day before service has run the menu dry. Excellent evening in this amazing and atmospheric pub. Thank you! All in all a great experience. Lovely Virgin Mary upon arrival, followed by delicious food. Friendly service and not rushed.... Very busy Sunday lunch service but to no detriment of either food or service. Lovely pub, good food, very good service. A very pleasant experience. Cosy atmosphere, friendly efficient staff and delicious food. Lovely place to relax with a bottled on wind and good food. I came here after a colleague recommended it to me. My boyfriend and I had the best dinner we’ve had in a long time! Wonderful atmosphere and interiors. We will definitely be back! Lovely evening. Would defiantly recommend it. Unfortunately the service really lets the Lucky onion chain down in my experience. Staff came across quite aloof. We visited on  from friends and feedback online, as part of a celebratory lunch courtesy of my parents following my recent marriage. The service was less than average as the waitress appeared distracted by her colleagues rather than focussing on helping her customers. My Father ordered the steak (medium rare), having seen the meat in the fridge behind the bar and reading theory provided within the menu. Sadly his steak was less than ‘good’, it arrived rare and he couldn’t manage to finish it, as half way through the meat become very ‘rubbery’ and quite frankly, exhausting to chew, he therefore took it home for the dog! The waitress returned to clear our plates and failed to ask or show interest as to whether we had enjoyed our meal or not. My Mother therefore mentioned the issue with the steak, however she failed to show any concern or offer any sort of apology. When she later returned to our table, my Father mentioned it again and she kindly confirmed she would pass the information on. Following dessert, we asked for the bill which was almost thrown onto our table by the waitress who was looking back to, and chatting to her colleagues, again showing no interest in her customers. We probably wouldn’t visit again based on our experience, with the exption of the steak the food was good but the service really let you down this time. We possibly wouldn’t have minded quite so much, but you were not busy and staff did not seem under pressure, having time to gather for discussion.